All the power of QuoteWerks now available from ‘any’ web-enabled or mobile device. We offer a range of cost-effective hosting packages to meet your budget and technical / business requirements for using QuoteWerks (and any other business software). 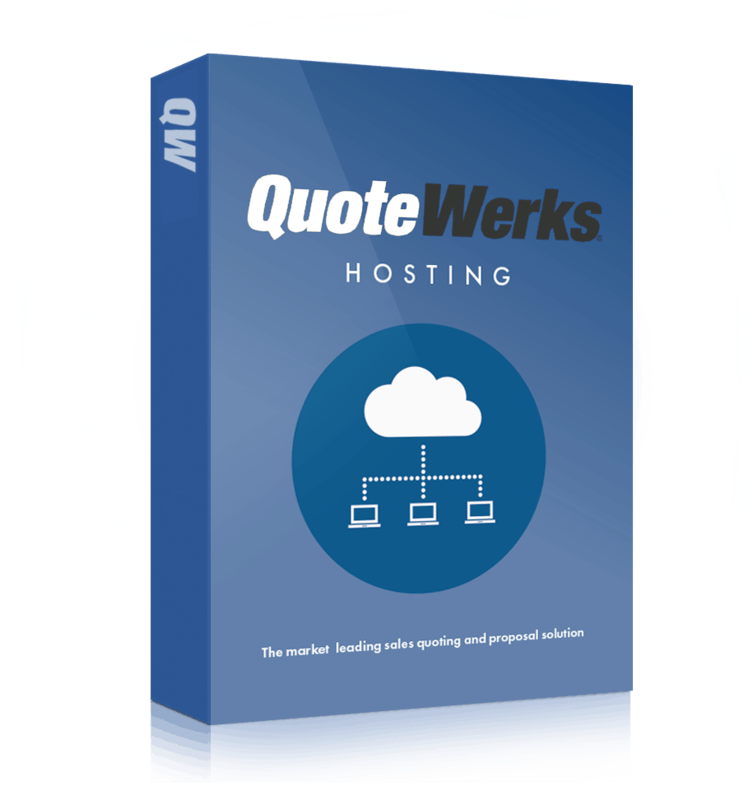 Access your QuoteWerks in the cloud via our highly secure, highly available, super-fast servers. Software-as-a-service fee payment options also available with no minimum contract period. DDoS defence and firewall management as standard. Options for IP address white listing and/or secure VPN connectivity to protect your business critical data are also available. 99.999% up-times with multi-located fail-over servers in a disaster situation. Scheduled out-of-hours maintenance and backups so that your working day is as productive as possible. We use data centres which offer ultra high speed 100GB network connectivity. Multi-located data centres to ensure the best possible connection to your systems as all times. QuoteWerks Web alongside our professional hosting services offers remote workers the ability to work from anywhere with an internet connection at any time. We offer a range of hosting packages to suit your budget and hosting requirements. Prices start from just £30/database/month up to fully maintained and administered package options. After an initial setup fee, we can offer QuoteWerks on a monthly fee basis. Whether you’re new to QuoteWerks or a long term existing User, we can help shape the way you move your business systems forward.